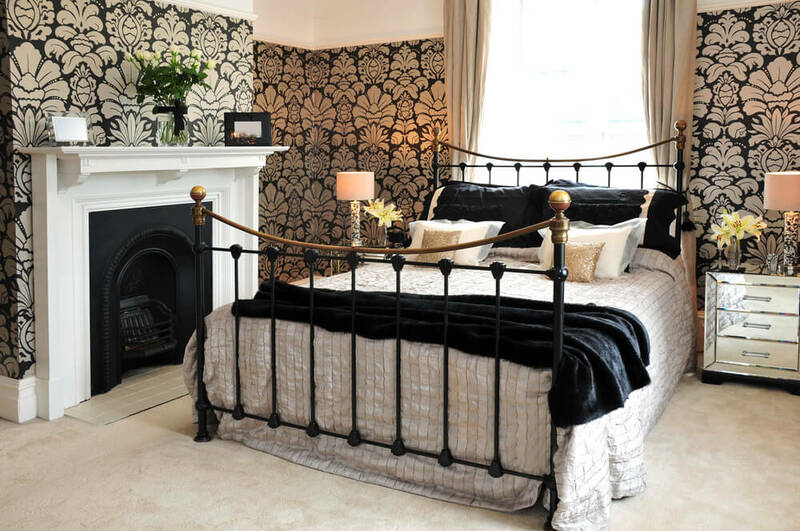 Make your bedroom even more fun to spend time in when you add a fireplace. 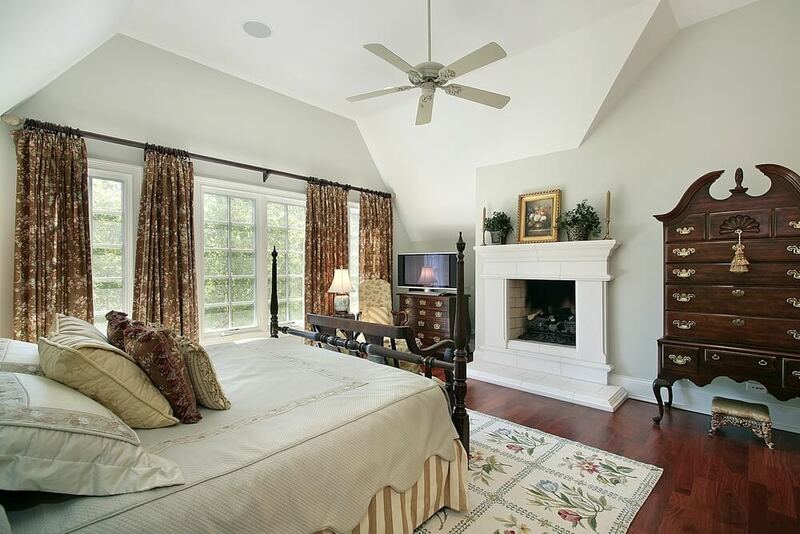 Master bedrooms with fireplaces are the height of style, comfort, and beauty. In the dark of winter, coming across a roaring fire is something most of us just dream about. 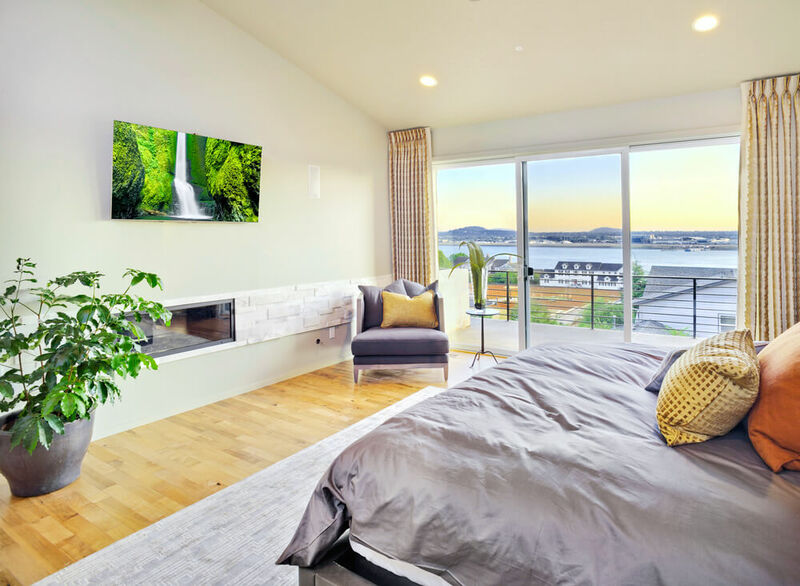 Some lucky people have fireplaces in their own homes, while others have hit upon the ultimate in master bedroom design- master bedrooms with fireplaces. Imagine cuddling up in bed with the warmth of a fire adding to the comfort of your room. 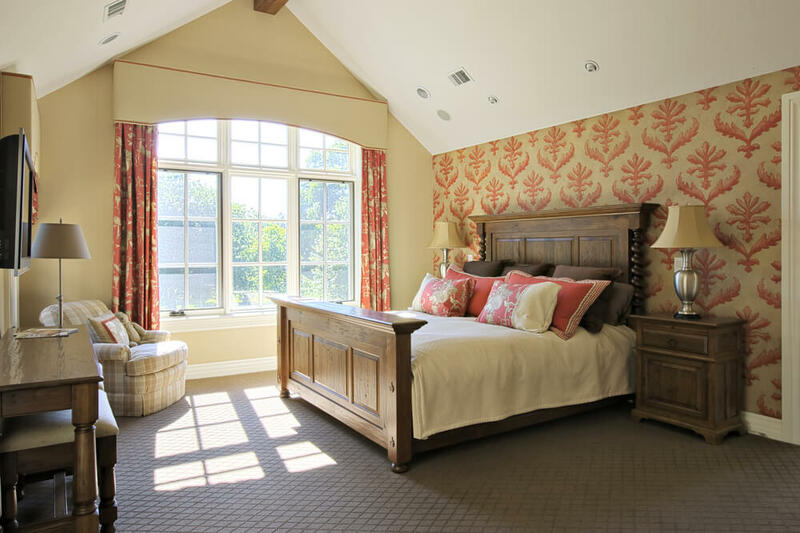 Master bedrooms with fireplaces have a lot of appeal and can have a lot of benefits for the people who want a fireplace. Homes usually feature fireplaces in the living room, but a bedroom fireplace could be the item that gets you through the winter. 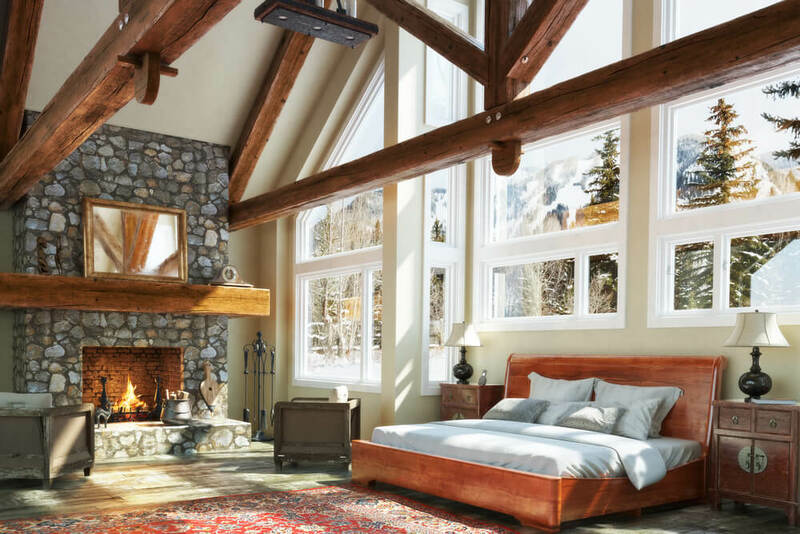 Both gas and wood fireplaces have something to offer you when installed in your master bedroom. A gas fireplace is a popular choice because this kind of fireplace can be controlled easily and turned off without any hassle. A gas fireplace could be installed with a glass cover over the exterior, so you wouldn’t have to worry about kids or pets accidentally stumbling into the fireplace. Additionally, gas fireplaces can use the existing heating system in your home for power. If you want to install a new fireplace or modify an existing fireplace, choosing the gas option can be beneficial in the long run. Of course, there are few things that can beat a true, wood burning stove. This type of stove gives you the ability to burn different kinds of wood and create the size of fire you want any night of the week. You can install a grate around the fireplace to keep embers and coals in, as well as pets and children out. A fireplace could add unique style to your master bedroom. Traditional fireplaces are made of exposed brick, and can create a fun aesthetic on the outside of your home as well (in the form of a chimney). 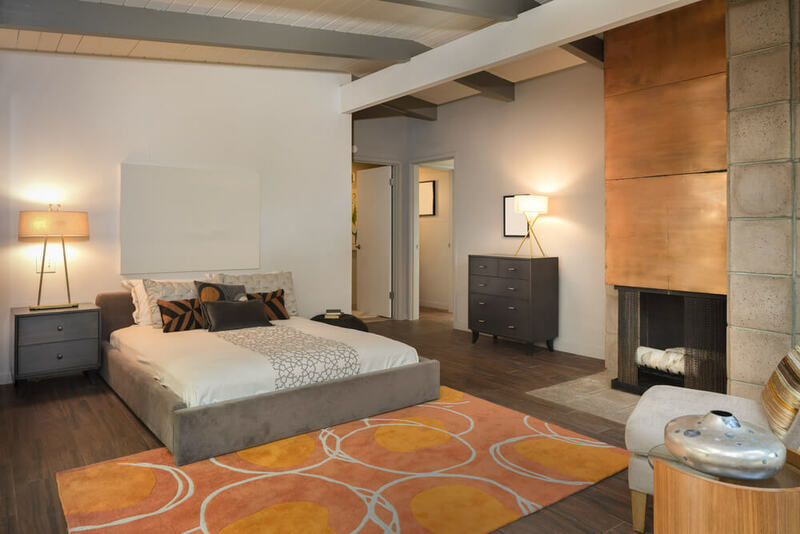 Having exposed brick in your master bedroom allows you to use this piece as the focal point for your room’s interior design. You could integrate the material used for the fireplace mantle as a place to store books or other objects. The fireplace mantle may be made out of wood, marble, or another material. Whatever this material is, you could connect it with other similar colors or materials in the room around the fireplace. Brick can be painted or remain its normal color, which opens up a number of other design opportunities. The fireplace you choose for your master bedroom should match the space you are putting it in. Fireplaces come in small, medium, and larger sizes, so you can match the fireplace you want with the room you are able to set aside for this feature. Fireplaces can be made out of metal and other materials that may blend in with your room’s interior design. 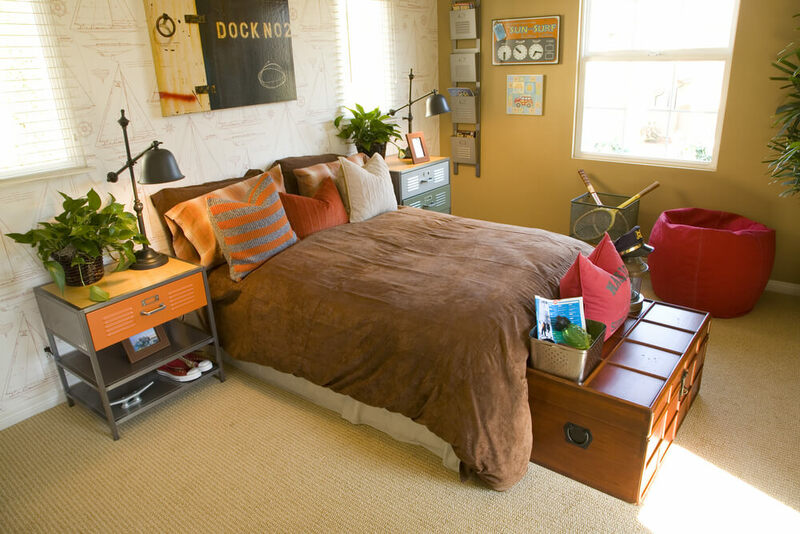 Items like bookcases or a writing desk could be fun additions to your bedroom, and make your space incredibly cozy. 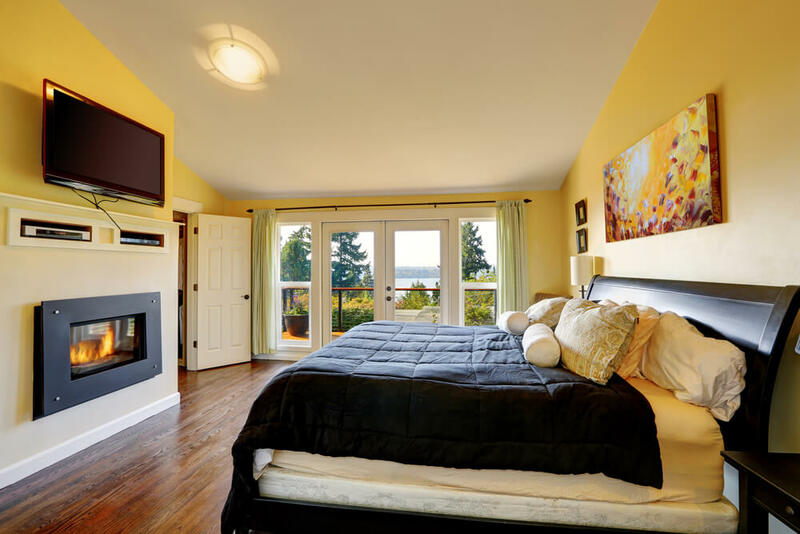 If you are looking for a way to make your master bedroom stick out from the rest, consider adding in a fireplace. A corner fireplace adds style and warmth. 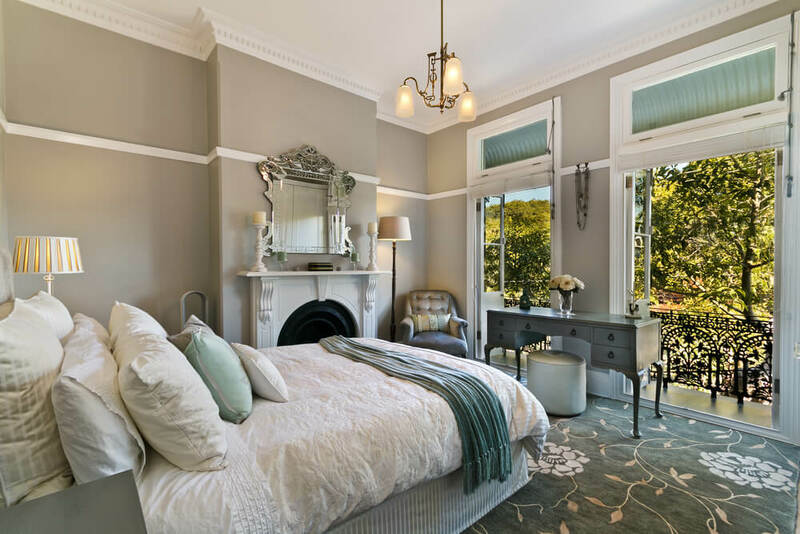 A white fireplace can brighten your bedroom. Design features of your room can match your fireplace. Your fireplace can be small, but still an important part of your room. 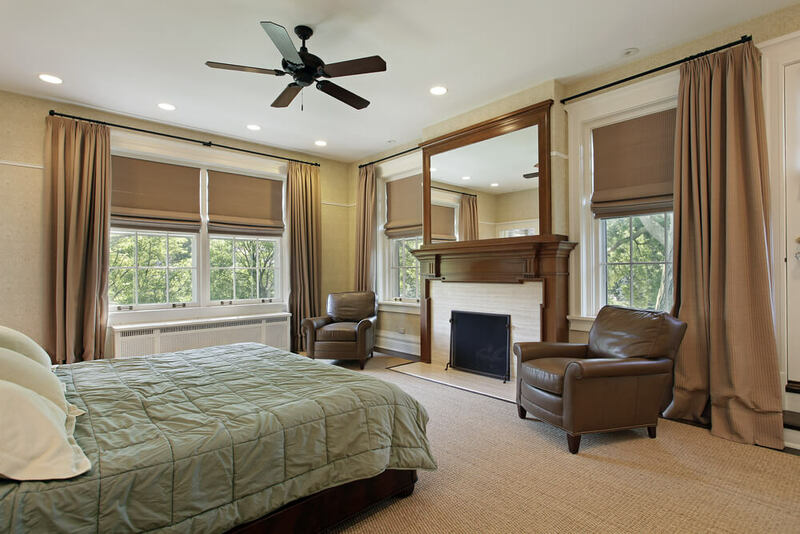 A large bedroom could benefit from extra heating. Your bed is even more comfortable in front of the fireplace. Your fireplace mantle can provide a focal point in your room. 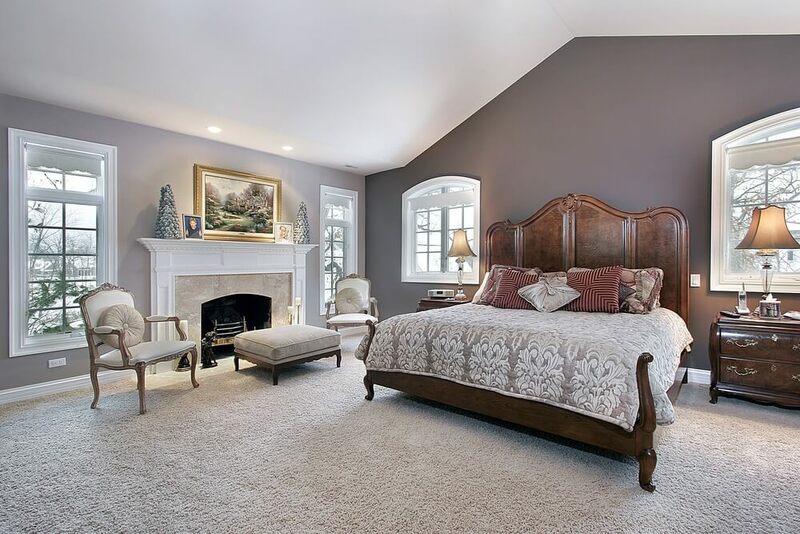 Your fireplace color could match other decorations in your master bedroom. A marble fireplace can add depth to your room. Stone can provide a strong and natural look to a fireplace. 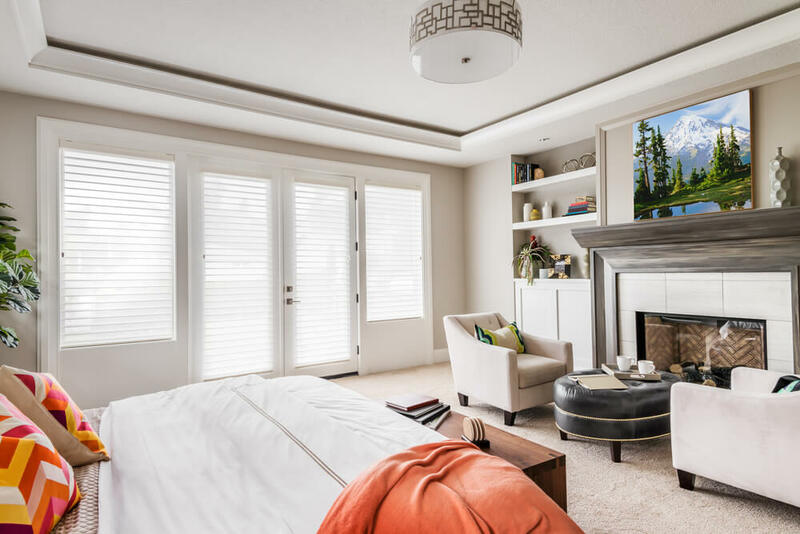 A TV/fireplace combo can add luxury to your master bedroom. Lots of blankets and a roaring fire make winters go faster! A fan and a fireplace can keep you at the perfect temperature all year round. An open-plan bedroom can be perfect for a fireplace. A vaulted ceiling provides plenty of room for a gorgeous stone fireplace. Lots of natural light can compliment a small fireplace in your room. A corner fireplace doesn’t take up much space. A gas fireplace is perfect for keeping safe and warm. Install your fireplace as a focal point in your room. An ornate grate in front of a fireplace can protect your kids and pets from danger. Add in bookshelves or a desk for fireplace emphasis. Create a cozy reading nook around your fireplace. A raised fireplace can create a space for seating. 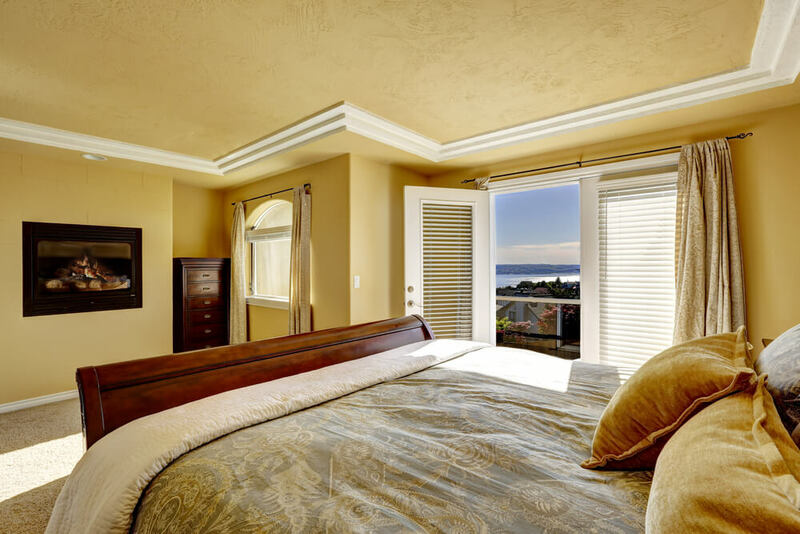 A fireplace can add extra light to your master bedroom. Stone creates a cool, stylish, and traditional fireplace look.